The things you always want to know before moving into an area are answers to questions that the folks who grew up in the area know but you won't know unless your realtor tells you. And let's face it: there are things your realtor cannot tell you and, since they are compensated by the seller, probably won't tell you. And how are you supposed to know answers to questions such as "where is the local dump or landfill?" "Where do the underground pipes run?" 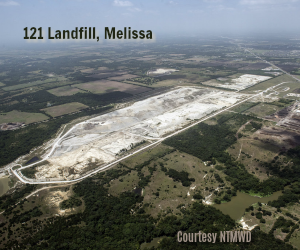 "Where was the land contaminated until it was recently cleaned up?" "Where's the airport flyover pattern?" and more! We'll do our best to answer these questions, and others, but also advise you to check with the local governing authority (city, town, or county) to find out how the beautiful field is zoned that your new home would be backing up to. And be advised: that can change rapidly. We do not guarantee this list is updated beyond the date indicated at the bottom of the page, or that it is a comprehensive list. We are just providing a head start for you on your own web search. This area is reserved for facilities with multiple locations throughout Collin County or apply to the entire county. Are There any Oil and/or Gas Wells in Collin County? 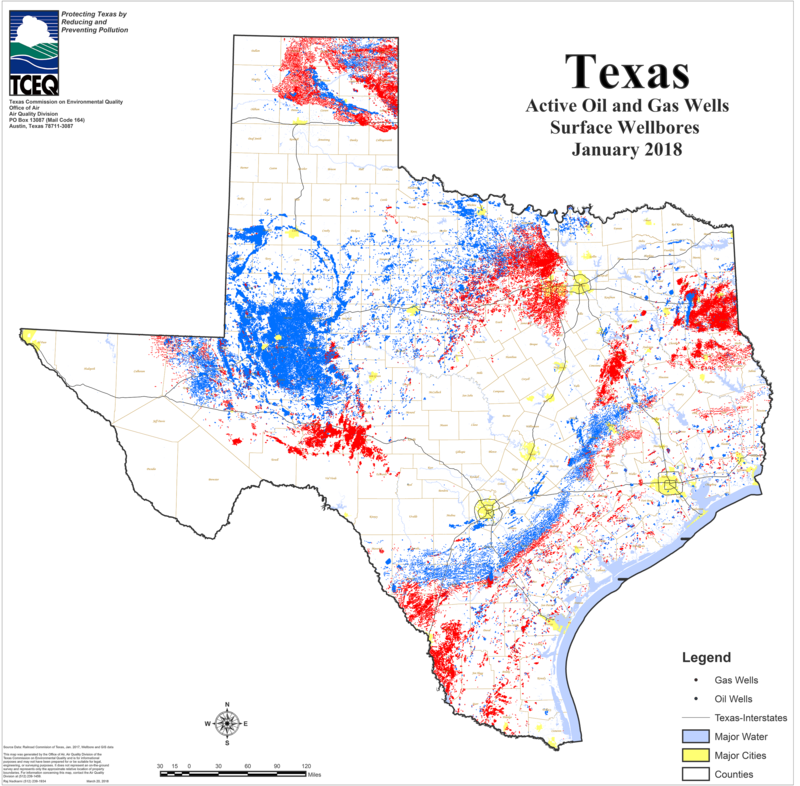 As of January 2018, according to the map in the above link, provided by the Texas Commission on Environmental Quality, there are no oil and/or gas wells located within Collin County, Texas. According to this map provided by the United States Environmental Protection Agency on 3/21/18, there are no cleanups of Incidents of National Significance within Collin County. You can use this map to see where the power grid is located. This includes the large transmission lines as well as substations. View the airlines "highways" in real time. There are two major airports in Dallas, DFW and Love Field. Is the home you want to purchase, or current reside in, located within a flood zone? Check the address on this map provided by FEMA. Pipelines run all across highly populated areas, but you can know where they are located and assess your risk by viewing this web-based map of gas transmission and hazardous liquid pipelines, liquefied natural gas plants, and breakout tanks. Chances are you don't want to live "down wind" from a wastewater (sewer) treatment plant. There are six located within Collin County in the following cities: Allen (Wilson Creek WWTP near Lavon Lake), Farmersville (Farmersville 1 & 2 WWTP), Frisco (Cottonwood Creek WWTP), Lavon (Bear Creek WWTP), Plano (Rowlette Creek WWTP), and Wylie (Seis Lago WWTP near Lavon Lake). Occasionally there is a Sanitary Sewer Overflow due to heavy rains. 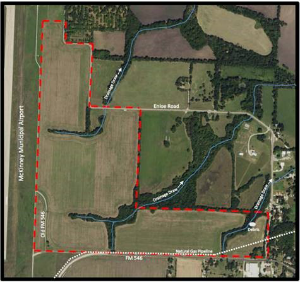 Read more on the North Texas Municipal Water District link above. You may be interested in this study published in 2016 on the impact on the quality of life when living close to a municipal wastewater treatment plant. Would you like to know the quality of your water before purchasing your home? From this link you can view the reports for each city in Collin County. The cottonseed delinting facility operated from 1965 to 1984, when it was abandoned. It is an 81-acre site, the 20-acre processing area located in the northwest corner of the property. Contaminants used on the property were arsenic compounds, sulfuric acid, and fungicide. The spent acid solution was collected in two settling ponds from which the water was discharged through evaporation and irrigation of the cotton fields. In 2006 the state published a legal notice "that the site no longer presented an imminent and substantial endangerment to public health and safety or the environment." Details. It appears there are three concrete businesses at this location. There are numerous Brownsfields Properties located within McKinney, concentrated on the east side of Hwy 75. (View map by entering your zip code under "Your Community".) The EPA defines a Brownfield site as "a property, the expansion, redevelopment, or reuse of which may be complicated by the presence or potential presence of a hazardous substance, pollutant, or contaminant." From the City of McKinney website: Dating back more than 160 years, McKinney historic Town Center area has had numerous environmental legacies associated with past industrial and commercial operations (gas stations, agricultural mills, cotton gins, etc.) that used hazardous substances (i.e. solvents, dyes) or petroleum products with their businesses prior to the advent of modern environmental regulations. The facility will ultimately manage an estimated 1,600 inmates at build-out. Previously a scrap metal site, which resulted in documented contamination of lead and petroleum based products (gasoline, oil, etc.) Cleanup of this site was completed June 16, 2017. As of March 25, 2018, this site is under government control. This is a top secret facility. From the Raytheon website: Raytheon Company, with 2016 sales of $24 billion and 63,000 employees, is a technology and innovation leader specializing in defense, civil government and cybersecurity solutions. With a history of innovation spanning 95 years, Raytheon provides state-of-the-art electronics, mission systems integration, C5I(TM) products and services, sensing, effects, and mission support for customers in more than 80 countries. A recycling drop off for the public, or a Materials Recovery Facility (MRF). (You will not be compensated for anything you drop off.) If you click on the City of McKinney's website you can view a list of what they'll accept--and will not accept. They will not accept your trash. Trash and recycling trucks also operate from this facility. A public use airport primarily for homeowners of the association. These stations accept trash deliveries from your local "garbage truck" and residents at which point 18-wheel transfer trucks pick up the trash and deliver it to the landfill in Melissa. At the Custer location (and the Melissa Regional Composting Facility located at the landfill), you may purchase organic gardening mulch bagged or in bulk. There are multiple concrete businesses at this address, as well as other industrial-type businesses. It appears there is just the one concrete business at this location.